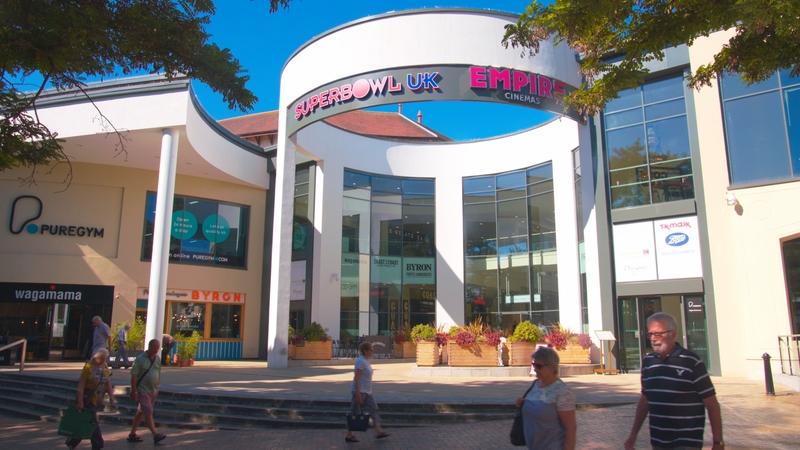 We’ve been working with Velocity Worldwide to produce content for County Mall in Crawley – and other malls – since 2017. The Mall has two floors featuring 90 stores across them. 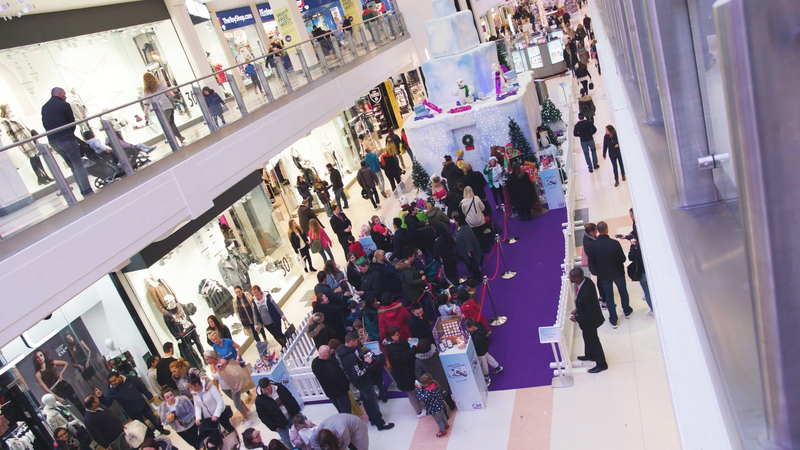 The centre regularly holds events and activity days as part of the advertising of promotions inside the mall or to promote specific stores, characters or events. 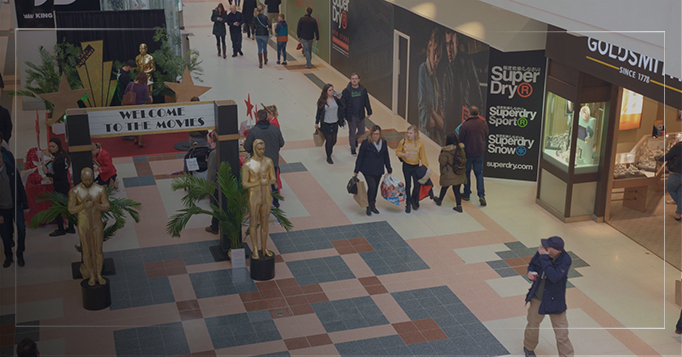 We work closely with the team at Velocity who look after County Mall to understand the brief and their requirements from each video we produce and then set about planning the shoot day and the specifics we need to get. 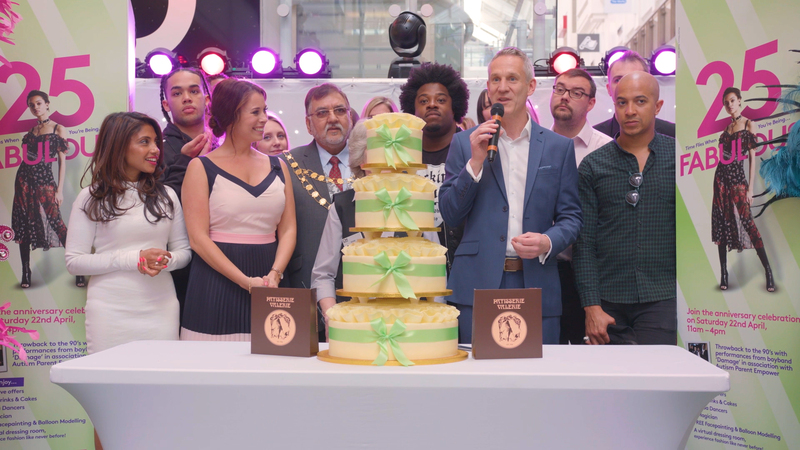 Our relationship began with the filming of the malls’ 25th Birthday Celebrations in 2017 – having seen the work we produce and also the Silvertip Vlog, we were asked to come onboard and not only film the celebrations but bring our vlog Presenter Jessica Jay down to host the live celebrations! This event featured performances from 1990s superstar boy band Damage plus the Samba Girls and also featured balloon magic and face painting for the children plus free bubbly for the adults! We filmed presenting links from Jessica talking about the day and what happened within it plus general coverage of the event itself to make an overall recap video. 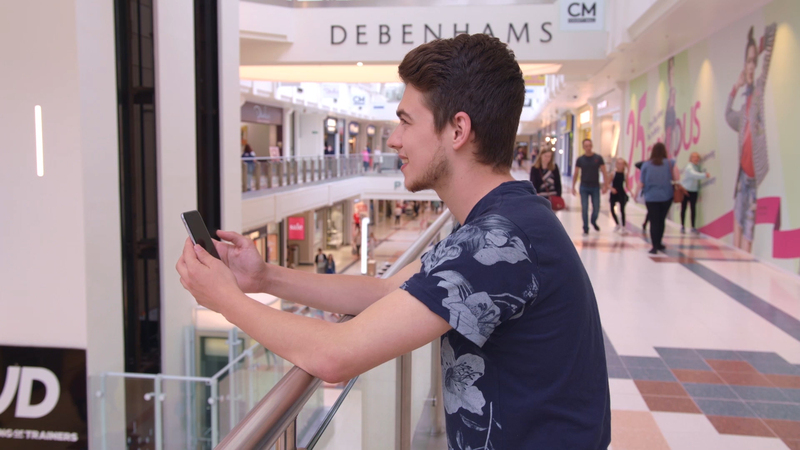 We then worked with the team to film the Shrunk Shopper promo which advertised an in-mall event which saw shoppers scan stickers in shop windows with an app on their mobile, answer the question posed and go shop to shop to receive rewards for answering the questions right. The event featured a bespoke app to be downloaded plus a shrunken set build including an ice cream cone and Rubiks Cube. The video featured an actor, Sam Mehertens, visiting the mall and getting involved in the trail, picking up his prizes and rewards before collapsing at the end – all shopped out! The fast-paced nature of the video, use of onscreen graphics and the narrative element all combined to make a unique video for the mall. The campaign, including the video, was the recipient of a Revo Purple Apple award in 2018 – the shopping centre industry marketing awards. We covered the Real People, Real Fashion campaign as well which saw members of the public nominated and voted for by other members of the public for their selfless service toward others, their thanks was a day of a pampering and a make over courtesy of the mall and various store partners. We filmed interview / before and after videos with all 6 winners and then covered the launch event in the mall, which was also hosted by our presenter Jess Jay. 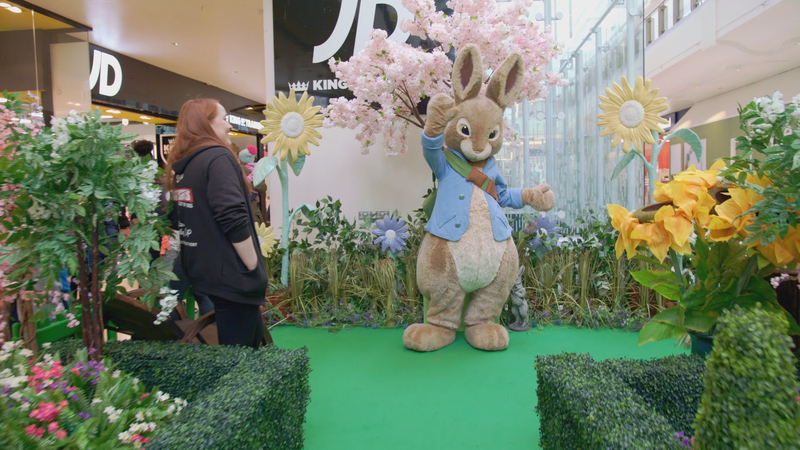 Since then, we have filmed Kaz from Love Island give a competition winner a make over, we also filmed the Hollywood-themed 2018 Mothers Day event, an in-mall appearance by literature legend Peter Rabbit (he asked for a selfie with us…who are we to say no to that?!) and we covered the Fathers Day event and the Christmas celebrations which included Father Christmas in his grotto and various performances around the mall including musicians and a giant polar bear! 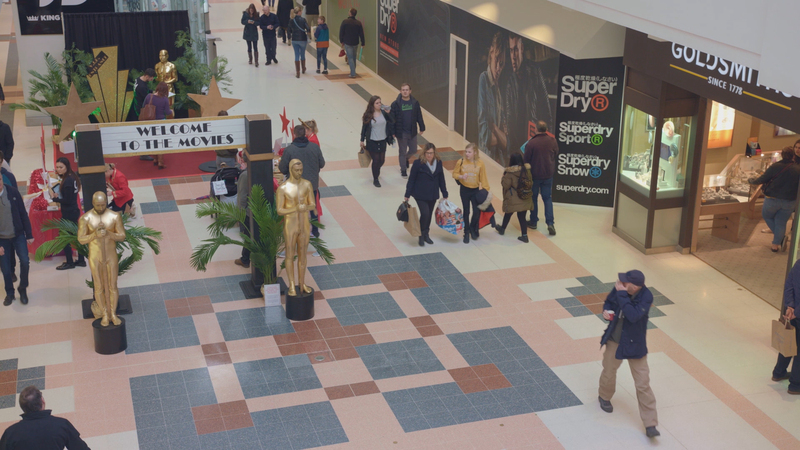 Alongside our County Mall work, we have also produced other content for Velocity Worldwide including coverage of an external outdoor promotional event at Gallions Reach in London and recently, the production of 3 x videos to promote the newly refurbished Buttermarket Mall in Ipswich. We travelled up for a day, filmed all the stores, restaurants and entertainment outlets to edit together a number of promo videos. 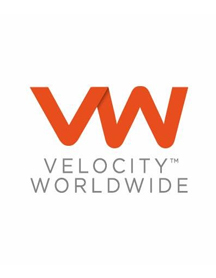 Working with the team at Velocity Worldwide, led by Rachael and Gayle, has been a great experience for us. Each new County Mall shoot enables us to learn the layout of the mall and shops more and be able to better take advantage of the space to get varied shots, the shoots allow us to meet members of the public and find out why they like County Mall and it’s stores. We get to capture moments of fun and excitement at the events and really show off how County Mall is focused not just on sales but on giving experiences back to its customers. Lastly, we get to try narrative led content with campaigns like the Shrunk Shopper one and help contribute toward our client winning awards.